Curious about edibles? One way to get started is creating your own cannabis butter, which you can use like regular butter for any number of baked goodies. 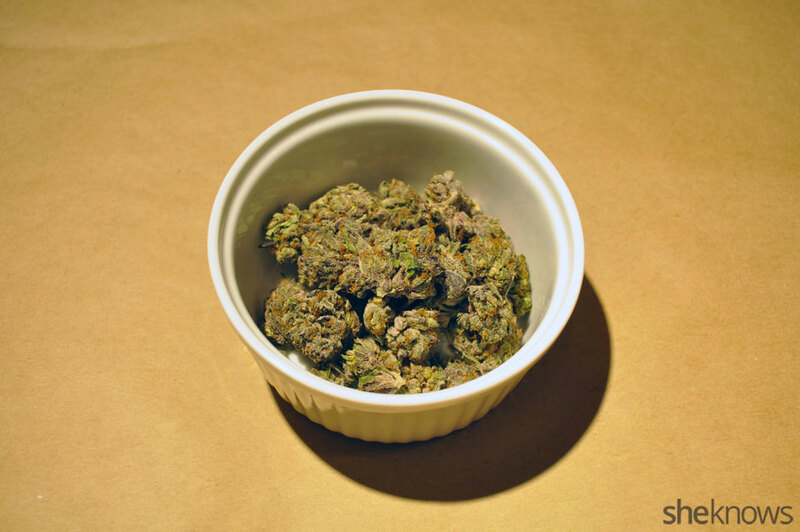 Making your own weed butter at home is easier than you’d think. Here’s our step-by-step guide to the easy Crock-Pot method. Note: Please exercise utmost caution when creating edibles. Start with small amounts, measure carefully, and be aware of factors like other medications you’re taking, how recently you’ve eaten and any health issues. 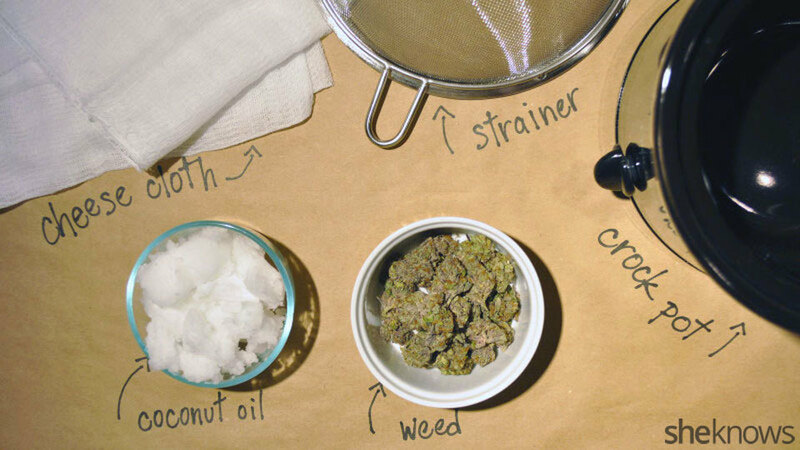 You’ll need coconut oil, 10 grams of cannabis (more or less, depending on how potent you want your butter), cheesecloth, a strainer and a slow cooker. 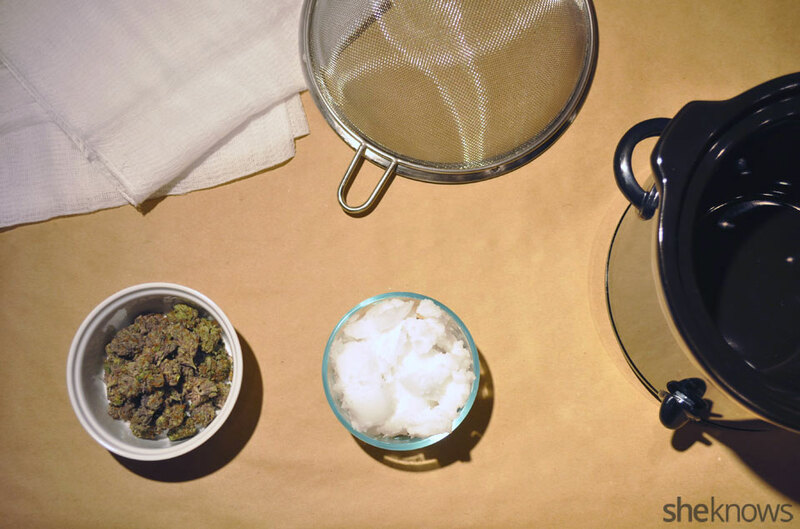 First, grind your cannabis as finely as you can. If you don’t have a grinder, you can use your fingers. Although tedious, this process will create more surface area for the THC to bind to the fat in the coconut oil. Here’s what your marijuana should look like after grinding. Next, put the coconut oil into your slow cooker, and turn it on low. 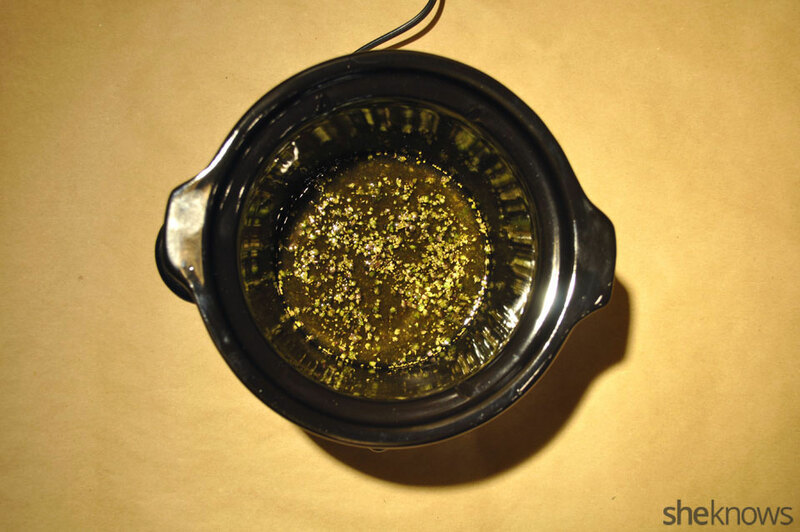 Wait until all the oil has melted before adding the ground cannabis. 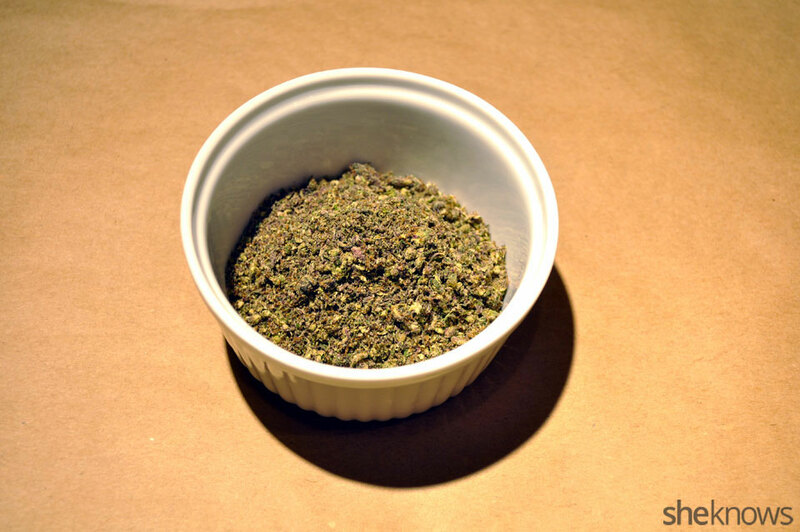 Stir in the cannabis, and then steep in the slow cooker on low for eight hours. If you’re within an hour in either direction, you’ll be fine. After eight hours, turn off the Crock-Pot, and allow to cool for several minutes, but do not cool completely. It should be cool enough to handle, though. 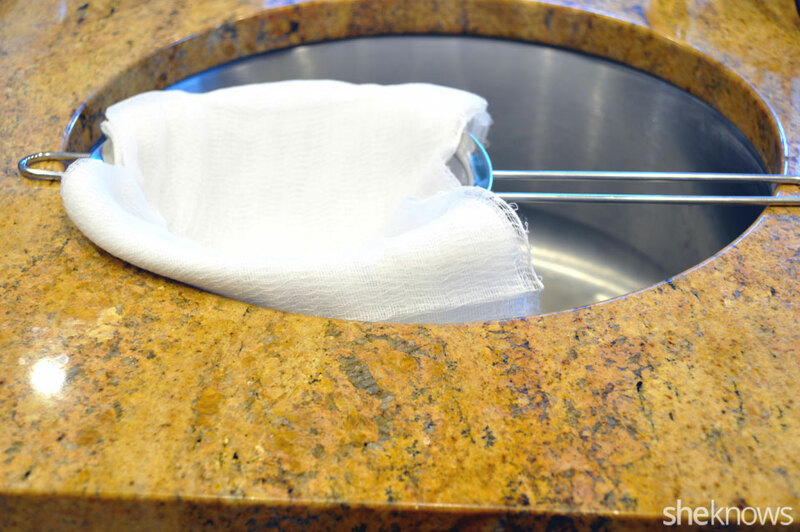 Place the cheesecloth over the strainer, and carefully pour the liquid over the cheesecloth. 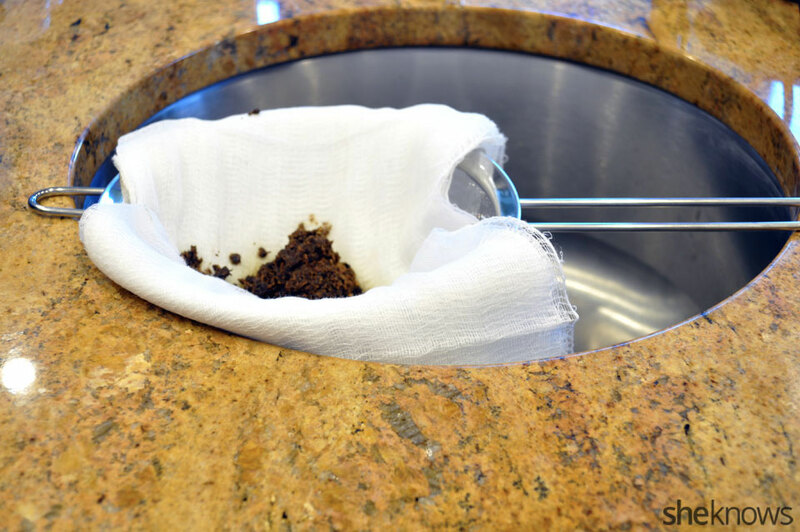 Place a bowl underneath the strainer to catch the liquid that comes through. This will be your butter. There will be a good bit of “pulp” that falls into the cheesecloth. Wring this out into the bowl, as there will still be liquid in the pulp. After you feel you’ve gotten all remaining liquid out, you can discard the pulp. 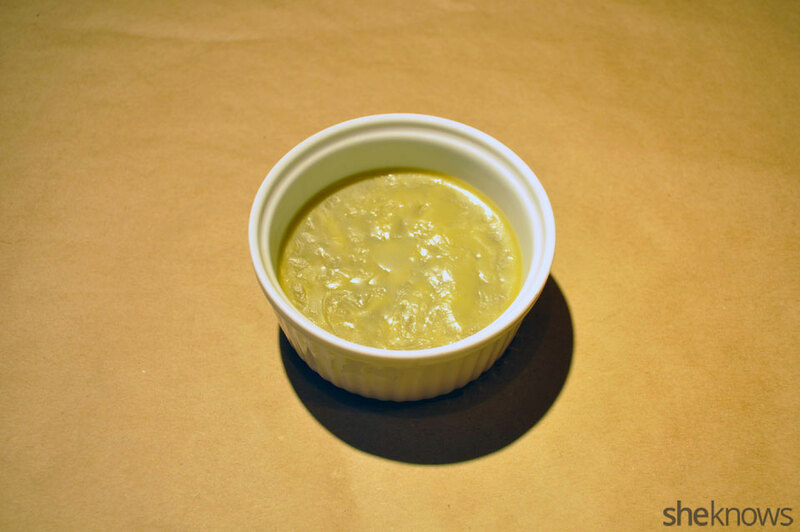 Your oil/butter is now ready to cook or bake with. It will keep for about a month in the refrigerator. Grind your cannabis as finely as you can. 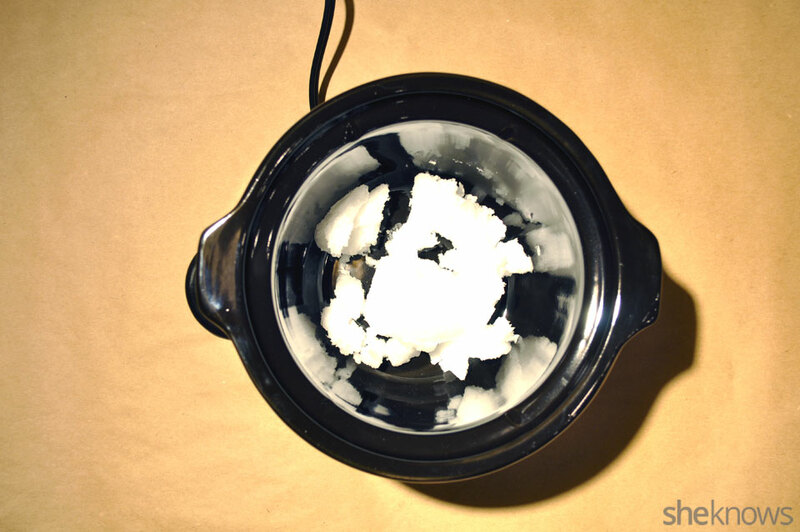 Melt the coconut oil in a Crock-Pot. Add the crushed marijuana, and steep on low for 8 hours. Turn off the slow cooker, and allow the oil to cool somewhat. 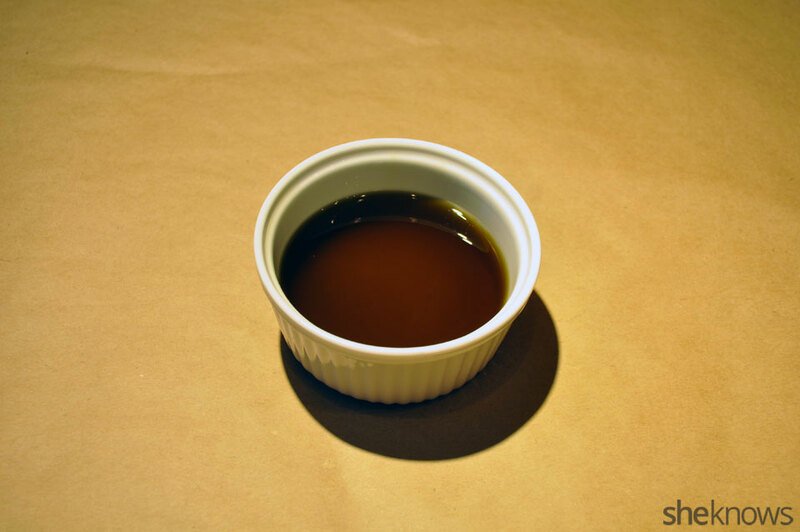 Strain the oil through a cheesecloth over a bowl while the oil is still a little warm. Wring out oil from the remaining pulp, and then discard the pulp. Store the oil in the refrigerator in a sealed container or a sealable plastic bag.